Up to a maximum of 30 daily submissions (each user/ IP address). Please submit only new*, fresh and interesting bonuses, that can be useful especially for you! *Expired bonuses are not allowed. We reserve the rights to suspend a member subscription in case of abuses or due to the low level of his/her submissions. Duplicate bonuses are not allowed*. * If users will submit the same bonus, only who placed first will receive the credits. 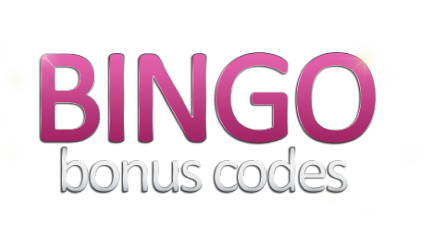 To avoid duplicates, we suggest you to check in advance the published bonuses on the list @ bingobonus.codes. We remind that our participants will get credited as soon as their submission is posted*. *You will receive an instant pending credit of $0.50. The pending amount will not be confirmed if the submission is not accepted (See paras. 2. / 3.) Otherwise, it will be converted to real credits. * same rule applies to rank 4, in this case both members will split the 10% left. The counter will show the updated ranking in real time. Every approved submission will add 16 cents to the total prize. The counter will be reset every Monday. Payment of the prizes will be processed by Monday, following the week of the announcement. Members announced as winners are kindly requested to confirm the BTC/BCH/LTC or PayPal wallet where they wish us to send the prize amount. A promoter account is referring to either a direct casino representing or a partner site which is directing users to exclusive bonus pages. A promoter needs to submit only exclusive and valid bonuses. Promoter accounts are not eligible for receiving Bitcoin payments or any other sort of reward. A partner site representative should not link the bonus directly to the casino, but to the internal page with bonus information. A partner site representative is required to contact us for approving the bonuses, via the LiveChat or the contact form. A promoter can submit up to 30 exclusive bonuses/day. All the bonus submissions and forum posts made through this site are subject to bitcoincasinos.club acceptance, which is in our sole discretion. Without limitation. We reserve the right to publish any approved submission and forum post over different domains. Residents/Members from the United Kingdom (including overseas territories) and European Union are not eligible for any form of prize/reward/money incentive. The minimum balance to request a cash out is $8.00, the amount will be paid in Bitcoins or Litecoins accordingly to the actual market values. bingobonus.codes has the right to approve or not any submission or any BTC related reward. Be sure to have written the right Bitcoin, Bitcoin Cash and/or Litecoin wallet address on your details, before requesting a cash-out. bingobonus.codes is not responsible for any possible mistake related to your Bitcoin wallet address. We aim to process cash outs on a daily basis, but please note we don't commit or guarantee this, it can happen to last longer at times.